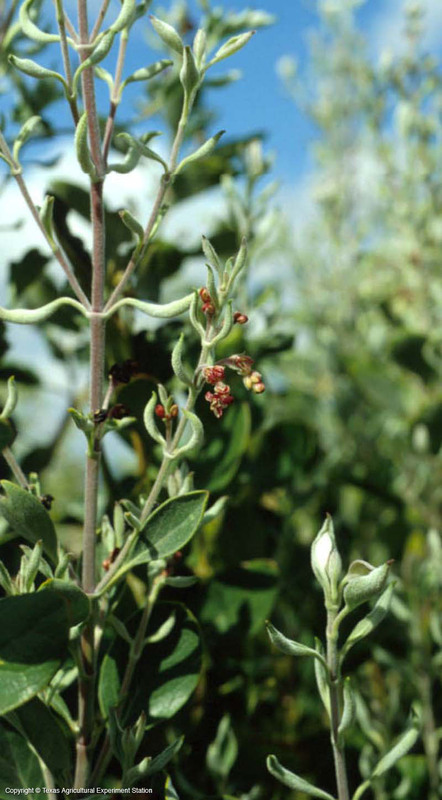 Mexican silktassel is a dense, fast-growing evergreen shrub with thick, leathery, dark green oval leaves that are flat or slightly wavy, densely wooly when young, becoming smoother on top and wooly and gray below as they mature. 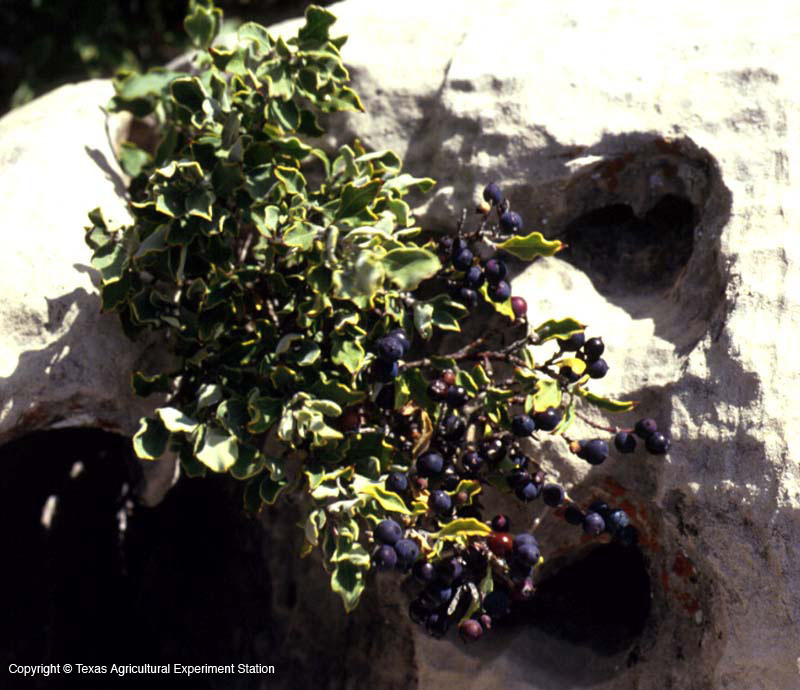 It grows in rocky limestone hills and canyons in the Edwards Plateau and Trans-Pecos. Although it grows in shade, it is more lanky and open than in full sun, which will promote the densest shape. Extremely drought and disease tolerant, it must have well-drained soil to do well. 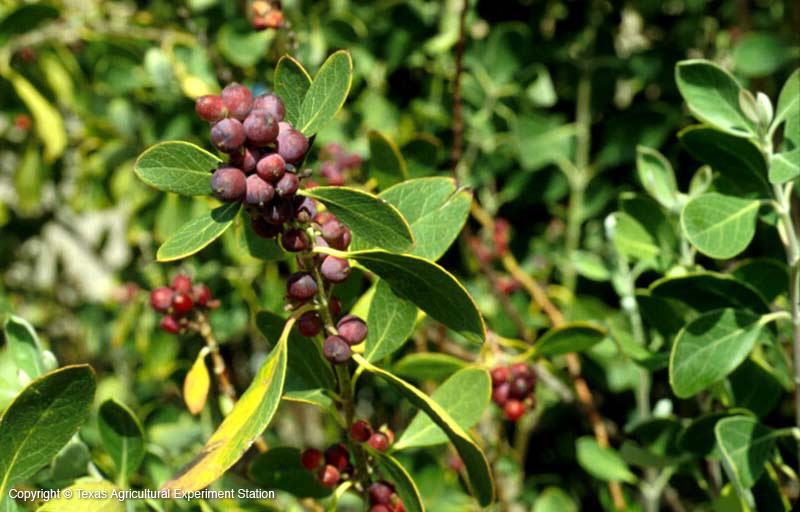 Like evergreen sumac (Rhus virens), Mexican silktassel is an attractive native evergreen shrub that can be substituted for the many ill-adapted exotic plants used in landscaping. It is useful as a barrier or foundation hedge or speciman plant on rocky slopes, and the lustrous green leaves add depth and interest when mixed with deciduous plants. Male and female flowers appear on separate plants; the stems of the male flowers are silky and light green (hence the common name "silktassel"), and make a showy effect, as do the clusters of purple fruits that appear on females in the fall, contrasting with the green foliage. Another variety of G. ovata, ssp. goldmanii, also occurs in the Trans-Pecos. 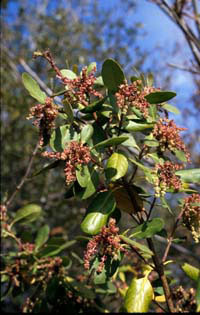 Its leaves are smaller and wavier; it is reportedly not tolerant of alkaline soil. Garrya ovata's evergreen leaves and dense form provide an excellent habitat for birds, who also feed on the fruit. Additional Comments: The thumbnail photo is of var. lindheimeri.